OnePlus has actually managed to keep itself busy this year. The self-proclaimed manufacturer behind the “flagship killer” of last year announced a neat little drone on April Fool’s day followed by the launch of its OnePlus 2 smartphone. Although things did not go the smoothest way possible with the OnePlus 2, the company has confirmed that it has another smartphone coming before the end of the year. A recent teaser by OnePlus though has gotten us thinking. 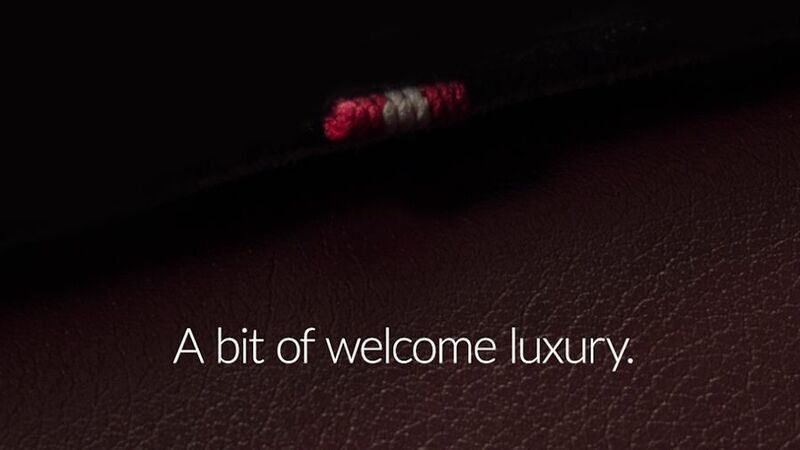 OnePlus posted an image on their Google+ page with the words “A Bit Of Welcome Luxury” and with the caption saying, “something luxurious is coming to OnePlus”. Given that we are dealing with OnePlus, this could be anything simply because we do not know what they are dipping their toes into. The image is obscure and vague but we can make out what appears to be a leather texture (which is often linked with luxury) and a red and white object that seems to look like a shoelace or bungee cord. The leather-like backdrop could hint toward a leather back for the new OnePlus 2 or maybe even the material choice for the secret smartphone which the company is hiding. However the other object in the image makes no sense. I was initially thinking of ballistic nylon similar to that found on the Motorola Droid Turbo but the material seems like an unlikely choice when considering removable back covers. Whatever the strange artifacts in the image may be, we know OnePlus has something that they want to show us and we honestly can not wait. I personally hope it is not just some removable back cover, rather something more exciting like the drone they released on April 1st. We won’t know what the company has got up its sleeves until it is announced so stay tuned and shoot up a few guesses on what this mysterious image could be hiding.